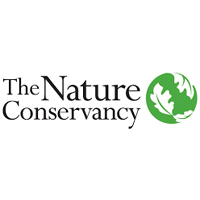 BA/BS degree and 7 years’ experience in conservation practice or related field such as protected area management, community conservation, natural resource management, biodiversity conservation, or an equivalent combination of education and experience. Experience developing partnerships and maintaining positive relationships with Tanzanian government, non-profit organizations, and community groups. Experience managing complex or multiple donor-funded projects in Tanzania, including managing finances and coordinating the work of other professionals and partners. Experience implementing projects with rigorous timelines and deliverables and tracking program quality through donor approved monitoring and evaluation systems. Demonstrated experience influencing, developing, and implementing conservation policy and plans at the country or regional level. Ability to effectively lead participatory meetings and workshops. Proficiency in Microsoft Office, including Word, Excel, Outlook, PowerPoint. Experience implementing USAID-funded projects strongly preferred. Knowledge of Tanzania’s environment sector and wildlife management policies, laws, and development issues. Experience implementing initiatives that mainstream gender and youth empowerment. Multi-lingual and multi-cultural or cross-cultural experience. Knowledge of methods and standards for rangeland management, land use planning, or related fields. Comfortable operating in a non-hierarchical and collegial manner. Supervisory experience, including motivating, leading, setting objectives, and managing performance. To apply to position number 46700 submit resume (required) and cover letter separately using the upload buttons. All applications must be submitted in the system prior to 11:59 p.m. Eastern Time on 17th August 2018.